Lily Farthingale, the scholarly twin, dreams of becoming the first female member of the Royal Society. She grabs at the chance when the elderly Duke of Lotheil approaches her with a proposition - he’ll admit her into the Royal Society, if she helps him to establish a relation with his estranged grandson, Ewan Cameron, a very rough-around-the-edges Scotsman who hates everything English. 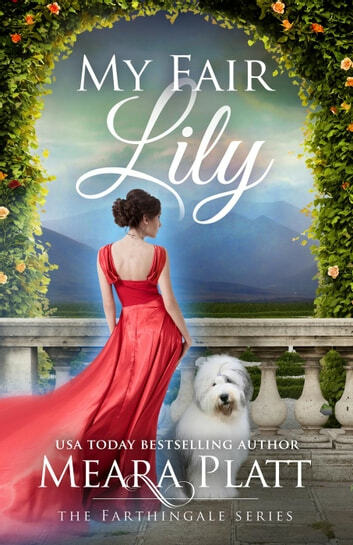 Between shootings, explosions, and Lily’s abduction, Ewan ends up falling in love with Lily in this Pygmalion-inspired story. I loved this book it was funny and interesting for that period when woman was not important and was supposed to be quiet and demure. Cant wait to read more from this great writer. Thank you. This is the second book I have read by Meara Platt. Love her storytelling abilities holds your attention with each twist and turn. Couldn't put this book down and re-read beginning of chapters after coding down for night, just to keep focussed on this great novel. 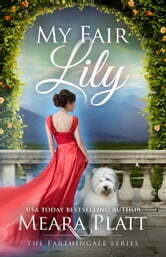 Brawl Scottish hero, blue stocking heroine, clumsy but lovable dog. Mix this with lots of mud, villains and you have a delightful tale.